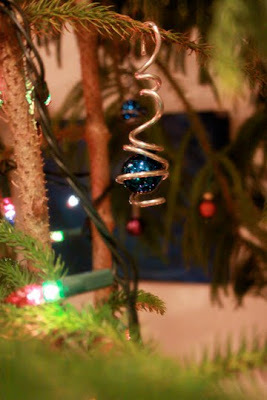 Here's our Christmas Tree! 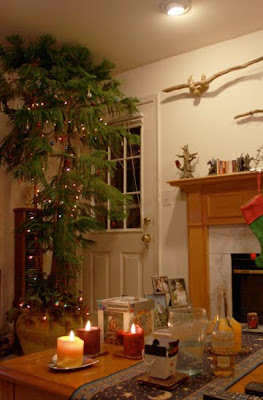 It's a Norfolk pine and we've had it for 9 years now. No going out and buying murdered trees or killing one ourselves. Seriously, everyone should do this. And if you don't/can't keep it past Christmas, plant it somewhere. I also made a bunch of our ornaments. 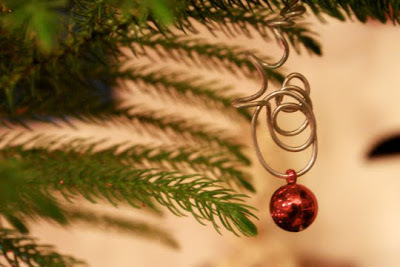 Some DIY style show I saw over 10 years ago, for some reason I want to say it was Rachel Ray, was showing how to make these little ornaments out of wire. 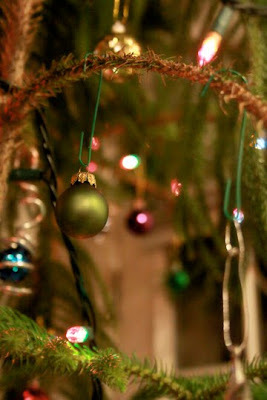 Thank you Norfolk pine for being our Christmas tree every year.